You may giggle at the phrase "most relatable Kardashian" but with her family-first nature, Kourtney is easily the sister with whom I have the most in common. Known for her talents and appreciation for interior design, her business savvy and her tendency to prefer nights at home over causing chaos on the town, this is the famous brunette mogul with whom I can relate. Her house? Stunning, and a clear departure form the aesthetic her family's homes tend to share. 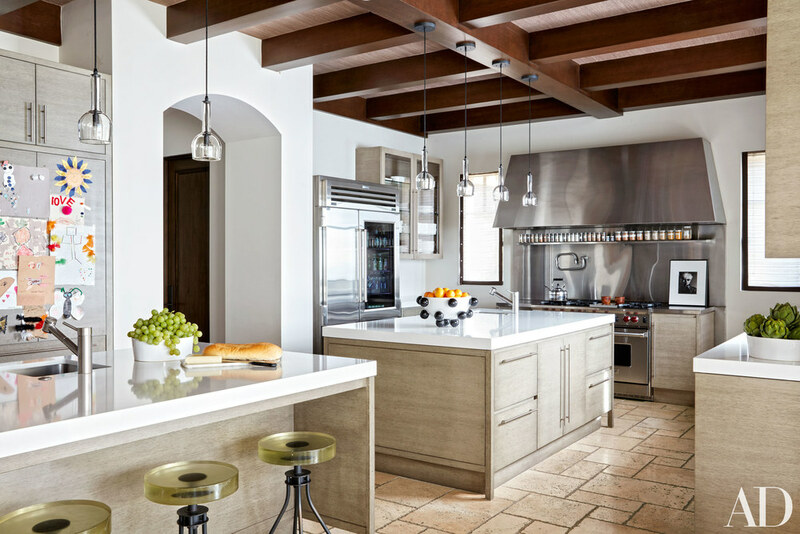 Although she and sister Khloe live around the corner from one another, enjoy a shared foundation of Mediterranean architecture and both utilized the talents of designer Martyn Lawrence Bullard, their private residences could not be more different. Khloé's is an exercise in Arabian Nights but Kourtney's demonstrates an appreciation for carefully selected Mid-Century prizes and a decidedly more modern vibe. In a clear departure from the now expected abundance of pillows and plump upholstered pieces, the oldest Kardashian sister favors noteworthy selections such as a vintage Jules Leleu desk, Pierre Jeanneret chairs, Christian Liaigre sofas and a vintage Oscar Niemeyer chair. The collection-worthy names don't stop there. And we haven't even mentioned her stunning art collection. It's a study in contrasts and truly the first time I've seen Kourtney express her creative point of view with such clarity. 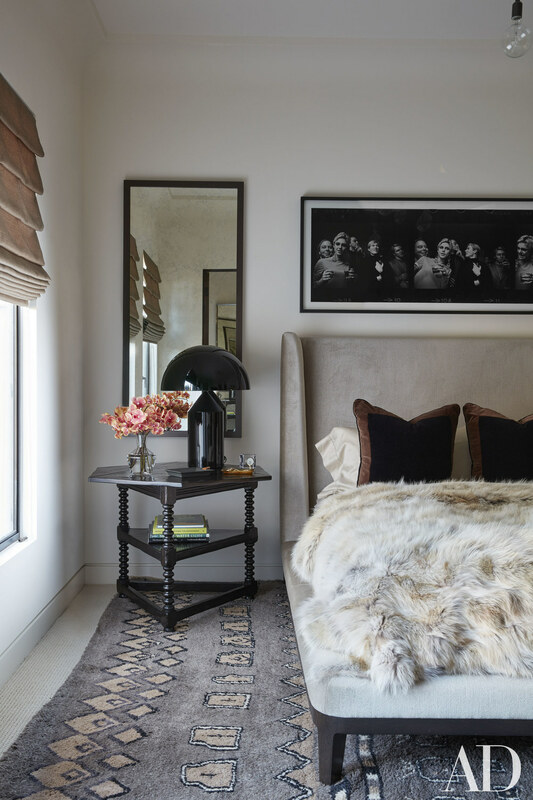 The entire home is airy, light and a demonstration of tasteful restraint. I like the push-pull effect of the resulting design. The unexpected mix of vast spaces with slim furnishings. Children's areas furnished with with Italian lounge chairs amidst the Melissa & Doug stuffed animals. It parallels the very private nature of the homeowner who lives in the public eye. I love the duplicity of it all. If you missed it, here's her sister's glamorous Moroccan-influenced home around the corner (which I adore) and this stunning pic of the crew together on Khloe's now infamous outdoor swings. Note to self: must get a pair of those!